Service Provider of a wide range of services which include security alarm systems, home alarm system, hybrid fire alarm system, smoke alarm system, finger print access machine and addressable smoke detector. 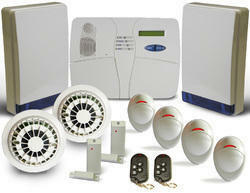 We are offering a wide range of Security Alarm Systems to our clients. The Home Alarm helps you stay guarded with high tech motion sensors, geared to track even the slightest movement around your premise. In case of any break-in into your property, the system sends an immediate alert and raises an alarm to warn you of any such activities. The latest cutting edge technology is equipped with a knowledge to differentiate the movement of your pet at home from the movement of a human, thereby adding a more stringent security check against a false alarm. 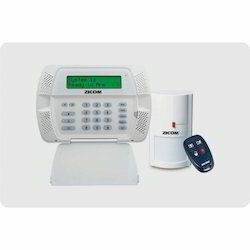 The brain behind Zicom’s Home Alarm System composes of its Main Panel and the iAlert Station system. The Main Wireless Panel works rigorously to support all the other wireless detector such as motion sensors, glass break detectors etc. To add to the convenience of the panel, the user can easily arm or disarm the system through a Pin, Key FOB or a Telephone. The Hybrid Fire Alarm System helps you stay guarded with high tech motion sensors, geared to track even the slightest movement around your premise. In case of any break-in into your property, the system sends an immediate alert and raises an alarm to warn you of any such activities. The latest cutting edge technology is equipped with a knowledge to differentiate the movement of your pet at home from the movement of a human, thereby adding a more stringent security check against a false alarm. 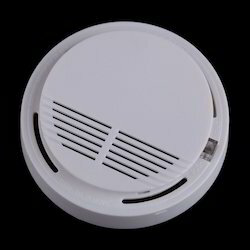 smoke detector uses a specialized smoke chamber design, which could sense the presence of smoke particles produced by fast combustion or slow smoldering fire. The QS-300-RB detectors have an external relay, provides Single/Double sets of volt-free changeover (form C) contacts change state when the detector signals an alarm. The detector will work with most modern fire alarm control panels、security systems, and meets the requirements of UL 268 and EN 54-7. 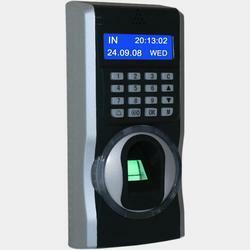 An Attendance Biometric Machine, attendance biometric reader these finger print reader or time attendance fingerprint machine that we have are known for their performance. These finger print readers comes with the facility of finger registration single/ multiple fingers, attendance machine, ginger image options: 1:1 match, 1:N match (only finger). 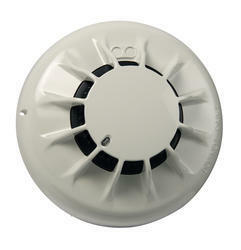 We are the supplier of monitoring alarm system from noida.